I am super excited to bring you this post in collaboration with my good friends over at Invibed.com and does contain affiliate links where ever you see a *. Invibed and I have been working together since the start of TheConfusedMillennial.com! They may sound familiar because twice a month I share my favorite articles from their writers and also had the pleasure of interviewing their CEO and co-founder Dani Pascarella for the Inspiring Millennials series! Anyway, I’ve known about their 90-day Wealth Coaching Program* since basically the start of this year while they were beta testing and delivering some seriously amazing results. I have been counting down the days for this program to go public! Basically it’s like P90x for your money. You’ll transform your finances for the better and you’ll learn enough about money to be financially fit going forward–all in 90 days. I know as millennials we probably are questioning whether or not we can afford that fancy coffee drink this week, so how can wealth coaching even be an option for us? Well since launching, Invibed has received a ton of awesome questions about their Wealth Coaching Program for millennials (this makes total sense considering it’s the first product of its kind). During this post, Certified Financial Planner, CEO & Founder of Invibed, Dani Pascarella is going to answer 7 of the most common questions about their program and give us some insider details! Seriously as millennials aren’t we all trying to figure out how to live a comfortable lifestyle while setting the foundation to build wealth?!? 1) Why should I sign up for Wealth Coaching? -Short videos about “need-to-know” money topics sent directly to your phone every week day. Ourr Wealth Coaches collaborate with our 3x Emmy award-winning production team to make sure everything is digestible and entertaining. –Access to our Client Portal which syncs all of your financial accounts at various institutions so that you can always see a birds eye view of your financial situation. You’ll have access to the Client Portal even after the program ends so that you can stay on track. –More bang for your buck than you’ll get anywhere else. Most financial advisors charge $2,000+ just for a financial plan. You’re getting that plus countless other benefits for a fraction of the cost. On top of that, you can earn money throughout the program by referring friends and through product rebates. Most of our clients make the entire program cost back (through our referral/rebate programs and/or implementing our suggestions) before the 90-day program ends. -This is the only program created exclusively for busy millennials. We’re fluent in emoji and the entire program can be completed from your cell phone. We pack everything into 90 days so that you can maximize results and minimize time commitment (we know how busy you are!). –Money back guarantee. We’re pretty sure you’ll love Wealth Coaching, but if you don’t we’ll refund your money within 30 days of the program start date. So you really have nothing to lose. 2) How much time will I need to dedicate to the program? 3) Why can’t I do this myself? I’m going to be honest–if you’re super dedicated, you could probably figure a lot of this out yourself by doing countless Google searches and reading books. But it would take you 150+ hours to learn what we can teach you in 7 hours…and time is money. Plus if we’re being real…do you want to spend your limited free time crunching numbers in an intricate spreadsheet, or would you rather be doing something you actually enjoy? There’s a reason why 78% of millionaires have a financial advisor. We’re definitely not the cheapest solution (though we cost WAY less than a traditional financial advisor), but we are definitely the most efficient. If you’re a busy person who values their time, let us do the hard work so you don’t have to. Also, you’ll be getting personalized advice from a CERTIFIED FINANCIAL PLANNER™ with a decade of experience, so you can be sure you’re getting the right information and you won’t have to second guess yourself. The way I like to think about this is by comparing it to fitness. There are some people who are just super passionate about fitness. They’re naturally motivated enough to read tons of books and articles, figure out the best workouts and meal plans, go to the gym every day, and hold themselves accountable so that they stay on track. 4) Do I need to reach a certain age, income level, or have savings to be eligible for the program? Absolutely not! This is actually a big part of why I created Wealth Coaching–most skilled financial advisors require six or seven figures in the bank for you to become a client (prior to founding Invibed, I worked at a firm that had a $25 million minimum). Unfortunately, it takes decades for most people to accumulate that kind of wealth, which means we have to make serious financial decisions without the help of a formal financial education or financial expert. Wealth Coaching is my solution to this problem – it allows young professionals to have the same financial experience as the super wealthy even though they’re not rich… yet. Wealth Coaching does not discriminate. We accept adults of all ages, income levels and net worths into our program. 5) What if I want to participate but can’t afford to pay for the program? While Wealth Coaching is much more affordable than working with a financial advisor (on average, a financial plan alone will cost upwards of $2,000 – and that’s IF you’re wealthy enough for them to agree to work with you), we understand that it’s still an expense for our clients. –Early Bird Discount & WIN/WIN affiliate relationships: Rachel has been working with us for so long on different projects that we are thrilled to offer a special discount to the TCM community. Sign up* by September 18, 2016 and use the promo code RACHELRITLOP* to get $100 off. This is the biggest discount we’ll ever give out, so now is the time to sign up if you want to take advantage of it. After September 18th, 2016, promo code RACHELRITLOP* will still work, but for $50 off. -Payment Plan: We just added the ability to split the program’s cost into three installments over the course of three months–$150 when you sign up to reserve your spot, $150 on the first day of the program, and $150 on the 31st day of the program. –Referral Program: When you sign up, you’ll receive a unique referral link that you can post on social media and email to friends. Each person who signs up for Wealth Coaching using your link will get $25 off their purchase, and you’ll get $25 from us. –Product Rebates: We don’t have a secret agenda to sell you financial products but we do offer them when they make sense (say you want to refinance your student loans, get a new credit card, or open a brokerage account). We have relationships with several financial institutions that pay us a referral fee for your business. We’re always completely transparent with you about referral fees–we’ll even split them with you (on average, it’s a 50/50 split across all product types), making it possible to cover the entire cost of Wealth Coaching program using rebates we pass along to you for any products that you sign up for. 6) Why is Invibed qualified to do this? The short answer: our team has spent over a decade managing money for multi-millionaires on Wall Street. We know how the wealthiest people in the world manage their money which allows us to bring that same expertise to you. I’ll personally be working with our September and October Wealth Coaching clients because I want to make sure they each have an absolutely incredible experience. Prior to founding Invibed, She was an Investment Specialist at J.P.Morgan, where she managed assets for ultra high net worth individuals with at least $25 million in the bank. She earned a M.S. in Journalism from Columbia University and both an M.A. and B.A. in International Business from the University of Florida. She’s always been passionate about helping people achieve their financial goals, so she became a licensed financial advisor at age 20, worked at CNBC on the show Mad Money with Jim Cramer, and am now a CERTIFIED FINANCIAL PLANNER™. She personally oversaw the development of Wealth Coaching, ran a pilot program to make sure it truly helped Invibed’s readers, and collaborated with Invibed’s 3x Emmy-award winning production team to create digestible and entertaining educational videos about “need-to-know” money topics. She loves working with others and helping them reach their goals! 7) Can you give me more specifics regarding what will happen in the program and after it ends? At the end of 90 days, you’ll have a clear understanding of your current financial situation and you’ll know exactly what you need to do to improve going forward. Many of our clients are excited to manage their own money with confidence. However, some clients really grow to appreciate all of the support they receive from their Wealth Coach and they prefer to continue working with a financial professional. If that’s the case, we have an amazing partner that we can refer you to, Stash Wealth. We don’t get any referral fees or commission from them at all–we just think they’re the best advisors out there for our Wealth Coaching alums. We also worked out a deal where you also get a nice discount off their fees if we refer you to them. Invibed is extending their Early Signup Promotion* so you can now use the promo code RACHELRITLOP at checkout to get $100 off through September 18th for the September 19 program! They now have a 30-day Money Back Guarantee. Invibed is super confident that you’ll love Wealth Coaching, but just in case you don’t – they’ll refund your money within 30 days of the program start date, no questions asked. As always, you can email [email protected] too. She love talking to others and wants you to feel 100% confident in your decision to sign up* for Wealth Coaching. It’s an investment in yourself and your future, so it’s important to do your due diligence and make sure it’s right for you. Still have questions? Schedule a free consultation with Dani to learn how you can benefit from Wealth Coaching*. Dani Pascarella, CFP® is the Founder & CEO of Invibed. Prior to founding Invibed, Dani was an Investment Specialist at J.P.Morgan, where she managed assets for ultra high net worth individuals ($25MM+). She holds a M.S. in Journalism from Columbia University and both an M.A. and B.A. in International Business from the University of Florida. 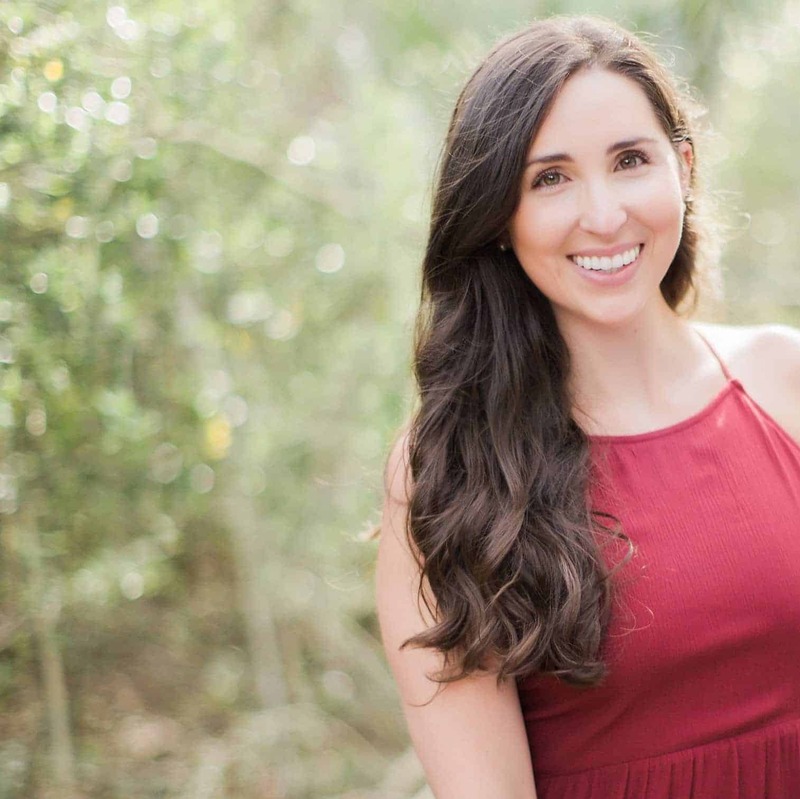 Dani became a licensed financial advisor at age 20, previously worked at CNBC on the show Mad Money with Jim Cramer and is a CERTIFIED FINANCIAL PLANNER™. She’s fluent in sarcasm and has a deep appreciation for dance parties and all things neon.